A Pioneering Company with Innovative Tools for Education Industry. Brainvire, a major player in digital transformation across every diversified vertical, marks a substantial expansion by acquiring an avant-garde platform. Get a comprehensive review of research, teaching and service portfolio of your faculty and the rest of your campus. Improve transparency of your faculty’s performance and increase your return on investment. Identify accolades and prestigious awards, set standards for institutional excellence and recognize accomplishments of your faculty. Streamline tenure and promotion, annual reviews, and performance evaluations. 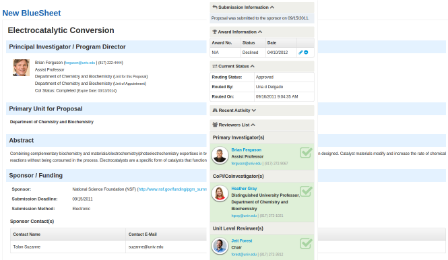 Set and automate committees and the review process. Establish consistent evaluation standards while letting each disciple set the goals for evaluating teaching, research/scholarly activity and service activities of their faculty. Stay on top of the approval status and expenditures incurred for the state authorization process of your distance learning programs. Develop targeted internal or inter-institutional funding programs to incentivize new and existing faculty, set up committees to evaluate their proposals and increase transparency, all while making the process a whole lot easy to manage. 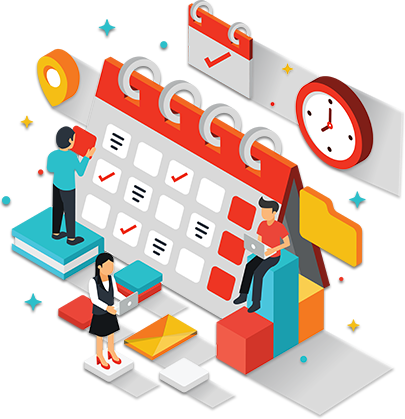 Capture broader, more deeper information for the service component of the faculty productivity and tie it in to their profiles and evaluation process. Advertise and market the service impact of your insitutiton. Track proposal and award activity by college, school, department or a specific faculty. 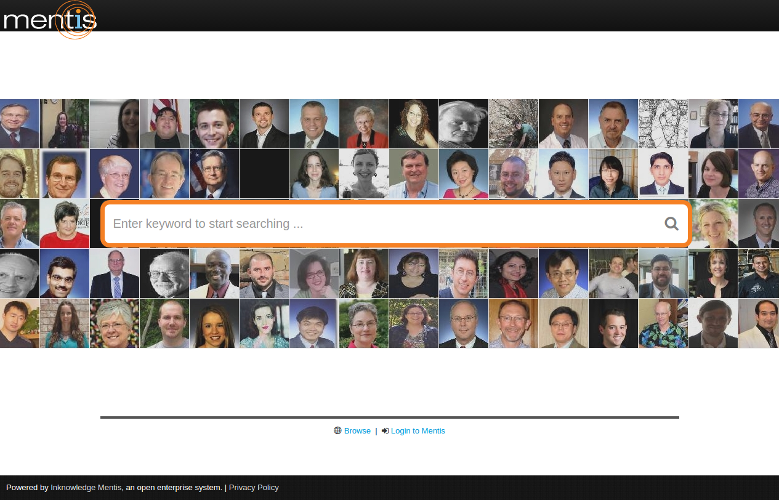 Stay updated about research activity of your faculty. 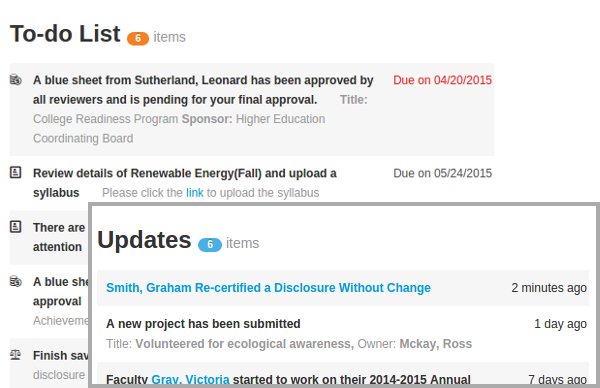 Review your faculty's conflict of interest with each activity and automatically stay up-to-date with any activity and changes in their disclosure. 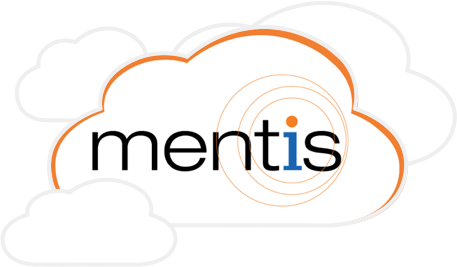 Get started with Mentis in the cloud. The same applications now available in different managed hosting plans to suit your needs. See Cloud Plans to learn more. Get to what is waiting on you faster with the help of a consolidated to-do list. Updates allow you to stay up-to-date on the status of everything that is of interest to you. Make the data work for you. 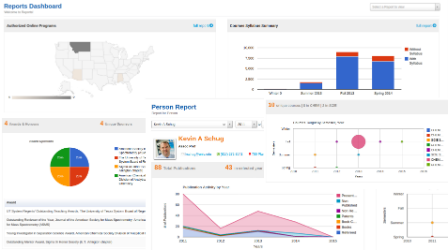 Run rich graphical reports, view them as widgets on a dashboard and drill-down to the record level to dive into the details. Real-time, full-text search lets you find information within the system with ease and as it becomes available. Restful APIs are provided for integration with any website or third-party application. Route forms, get approvals and streamline business processes via a customizable workflow engine.